Neymar should be handed a 2-year imprisonment and Barcelona should be hit with a fine of £7m after corruption charges over the Brazilian’s move from Santos to the Spanish club, a court has heard. DIS, who are the strategic partners of Neymar’s former had earlier appealed for a 5-year imprisonment for the Brazilian and a mammoth £160m penalty for the club. 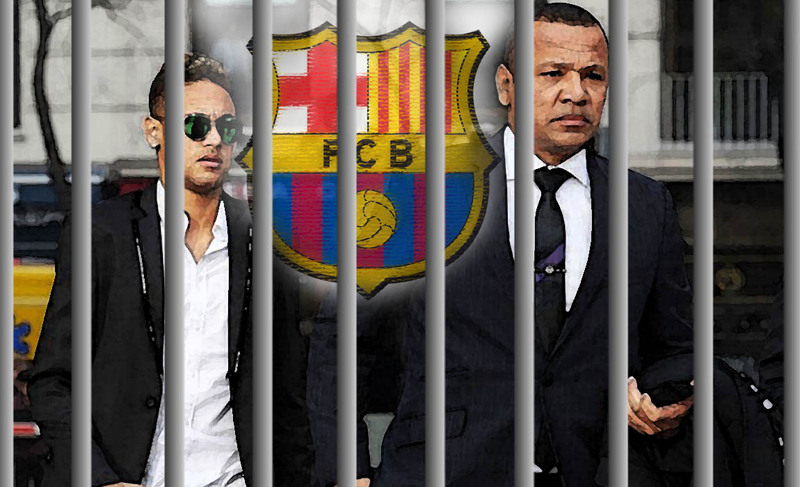 However, now the prosecutors have demanded a 2-year imprisonment for Neymar. Neymar sealed the transfer in 2013 as an investment group known as DIS were entitled to 40 percent of the Brazilian’s transfer fee. The investment group DIS received a smaller compensation than it should have because part of the transfer fee was concealed. 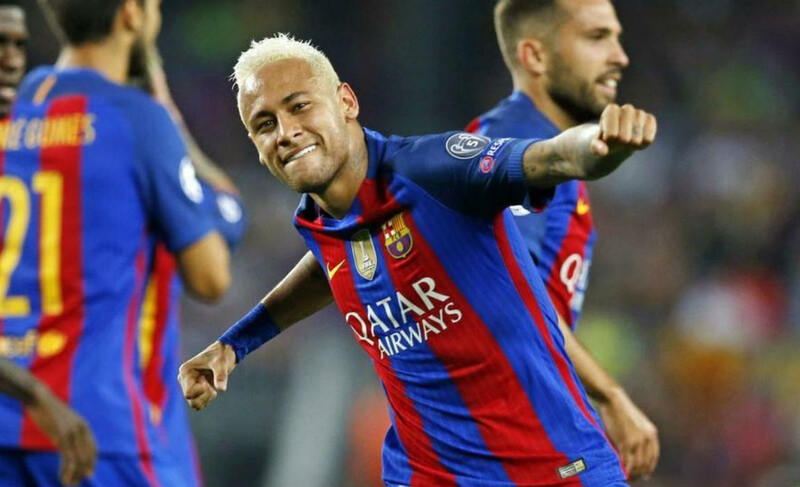 And now DIS have appealed the extreme punishment for Neymar, as the legal battle over his controversial switch to Barcelona from the Brazilian club Santos has reached its zenith. The DIS group believes that Neymar is guilty of fraud after his switch to Barcelona in 2013. DIS were entitled to 40 percent of the Neymar’s transfer fee. And now the investment group claim that they have only received a small part of it as Barcelona concealed the actual amount they splurged to rope in the Brazilian. 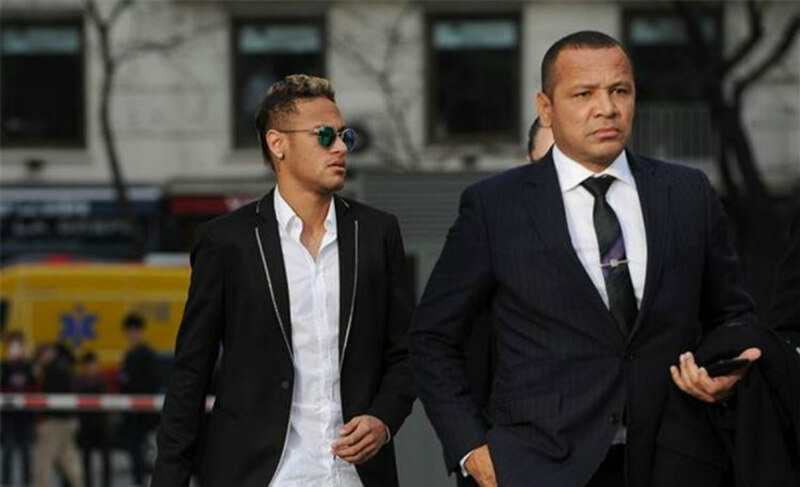 Earlier, the courts had dropped charges against Neyamr and his dad after Barcelona had agreed to settle the dispute by paying a £4.7m settlement fee with the Spanish authorities. It is believed the star’s total transfer fee was £71.5m — with the players parents receiving around £35m of that sum. Sources claim that Neymar’s total transfer fee was £71.5m – in which his parents pocketed a huge sum of £35m. And now DIS claim that they should have received more money than they actually got.